dynamicleverage – South Simms Street Dry Cleaner — THE BEST DRY CLEANER IN LITTLETON! South Simms Street Dry Cleaner — THE BEST DRY CLEANER IN LITTLETON! "We strive every day to earn your trust, your loyalty and your referrals as THE BEST DRY CLEANER IN LITTLETON." Well, I was just informed this morning that my long time friend and fellow dry cleaning shop owner sold his dry cleaning factory. It came as a shock, of course, but I am very happy for him and wish him well in his future endeavors, be it traveling, just relaxing or pursuing another business venture. Greg, the new owner of Talat’s shop (Speedy Cleaners, in Littleton) is already making the place his own and getting comfortable. The photo is of me (left), my wife Norma (middle) and Talat (right). Yes, we do wedding gown cleaning and preservation. Don’t want the hassle of printing or clipping coupons? Please note our holiday schedule. Saturday, Dec. 23rd, is my wife’s (Norma) birthday. Every year while growing up, everybody in her family would combine her birthday with Christmas Eve and Christmas, so it was my aim that I would always celebrate her birthday separately from the Christmas celebrations. This year is no different. I will be closing early on Saturday, Dec. 23rd, to take her out for a special night. She deserves it, if for no other reason than she puts up with me. I am unsure what time I will be closing early this day, but it depends on whether any customers come in. I suspect that nobody will be thinking about going to the local dry cleaners on the day before Christmas Eve, just as in years past. If you need something, come in the day before. I will be at the shop the entire day, Friday. I may be leaving around noon, Saturday. In addition, we will be closed on Monday, Dec. 25th, in celebration of Christmas, and spending the holiday with family who is driving from San Diego, CA. The following day, Tuesday, Dec. 26th, we will also be closed to be with them. We will return to our regular schedule on Wednesday, Dec. 26th, open from 7am-6:30pm. As for New Year’s Day, Jan. 1st, we will also be closed, but will be back to our regular schedule the next day, Tuesday, Jan. 2nd. I apologize for any inconvenience this schedule may cause you. Merry Christmas! May our Father in Heaven bless you and your loved ones on the celebration of the birth of our Savior, Jesus Christ. And may the new year (2018) bring you and your family much happiness, love, celebration, peace, hope, prosperity and every other good thing. 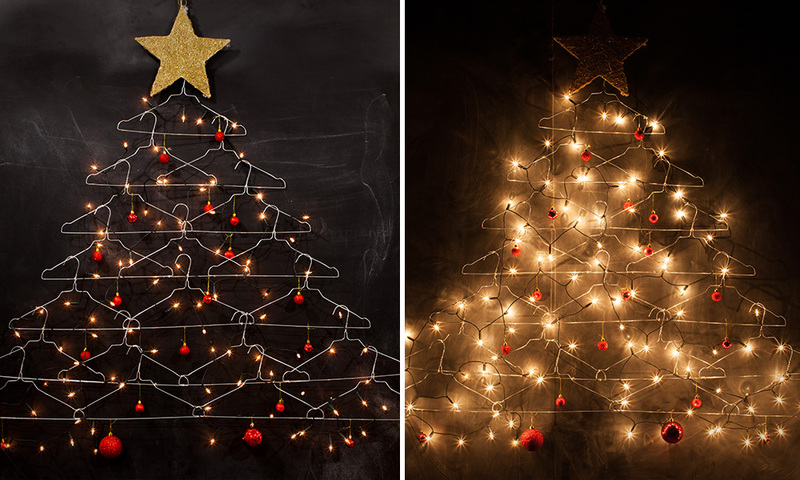 Christmas tree made from string lights and HANGERS. Now, that’s creative. Love it! 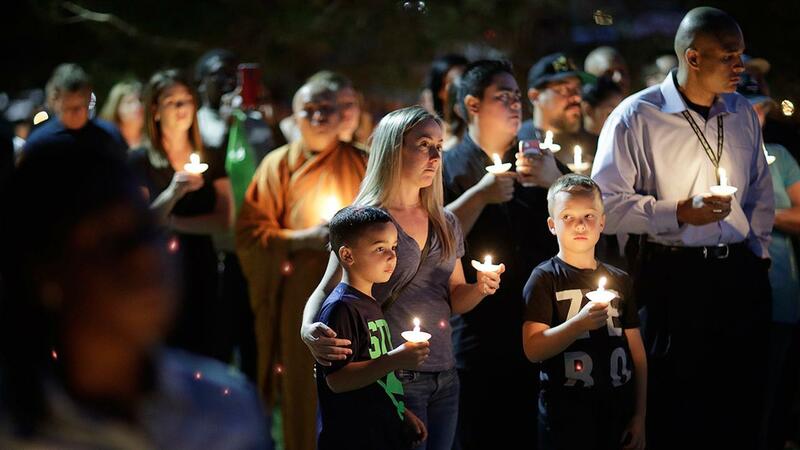 Our hearts and prayers for the victims and families of those who were injured in the shootings in Las Vegas recently. My wife, Norma, and her sister were in Las Vegas to celebrate a birthday, and had just left Las Vegas two days before the shooting that fateful Sunday evening. May God’s angels deliver hope and healing to everyone who was involved. And to the investigators, police and rescue personnel who ran toward danger that evening, may you find strength and resolve to continue with your difficult tasks. Thanks is also sent out to those civilians who volunteered to put themselves in danger to help the victims that needed rescuing and medical attention. God bless! My wife, Norma, and I will be celebrating our wedding anniversary on Tuesday & Wednesday (June 6th & 7th). I will reopen the shop on Thursday at 7am, and will resume home pickups & deliveries that same morning. I apologize for any inconvenience this mid-week “weekend off” might cause you. If you are in a pinch and need something cleaned or pressed while I am out, Speedy Cleaners at 8601 W. Cross Drive, in Littleton (behind Sprouts and Outback Steakhouse, north of Southwest Plaza Mall, off Wadsworth & Cross) would be happy to help you. Their phone number is 303-948-5045. If you have not been in my shop in the past week or so and did not see the signs posted on my front counter and shop windows about being closed June 6th & 7th (Tuesday & Wednesday), and need to pickup your dry cleaning or laundry, please come in no later than Monday at 5pm. We will be leaving town and won’t be able to return for your pickup order. Thank you, everyone, for your understanding and your well wishes for our anniversary. It’s time to clean your comforters and blankets. I believe that I have the most loyal and wonderful customers this side of Denver. Really! I say this because they not only trust me to take care of their dry cleaning, shirt laundry and alterations/repairs (thank you for choosing me, by the way), but because they share their lives with me and demonstrate that they care about me, and appreciate what I give them: quality garment care and customer service, with a smile. Not a day goes by that my customers don’t come in and tell me about how their family is doing, whether good or not so good, sharing details that most people would never share with, say, their grocery clerk, banker or even their neighbor. I hear about their daughter’s soccer game, or their son’s new girlfriend, or that their spouse got a better job or promotion, for instance. I also hear about some of the things that weigh heavily on them, such as a devastating illness that a family member or dear friend may be battling unsuccessfully, or how a loss (human or pet) has really left a hole in their hearts. I get to see old family photographs and hear closely-held family stories and gossip (haha). They share their hobbies and passions with me, and I’ve even been invited to some events. Heck, I’ve even been invited to my customers’ homes for a BBQ or dinner. And, occasionally, knowing (or not knowing) that I am a Christian pastor, as well as a business owner, they will reach across the counter and take my hands, and we will spend a moment in prayer together. I have had customers give me gift cards, letters of thanks, presents, even food that they’ve either purchased or made themselves at home. I even have customers who stop by for a visit and a chat, or for some coffee, although they don’t have any cleaning items to drop off or pickup. As many will readily admit, my attempts at humor can often fall short of the mark, even the “war stories” of my years in law enforcement get old, but, still, my customers laugh or smile, or nod their heads, even sharing some of their own tales of battles won or lost. I love those. I used to ask myself why God would surround me with such wonderful people in my life and in my business. I’m not anybody special, certainly not someone more deserving. My wife tells me that people appreciate good service, even if it comes with too-often-used dry jokes, and they tend to like me, too, as a person because I treat them the same as I would a close friend or family member. Truly, I am blessed. Thank you for inviting me into your lives. I love my customers! Click to call us now. * Valid proof of service required.